Fourth Fridays is a downtown Guelph event series meant to bring together people, the arts and culture in new and interesting ways. Stop by between 7pm and 10pm to check out the various events! 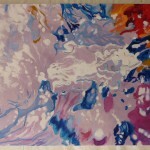 @Whitestone Gallery (80 Norfolk Street, Guelph): The featured artist is Norma Lee. Her paintings feature beautifully rendered horses as well as still life and landscape in oil on canvas. 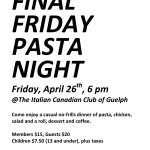 Starting @ The Guelph Train Station: Reservations preferred. Small fee, cash only please. Walk leaves at 8pm and lasts for about 45 minutes to 1 hour. Don’t be late! 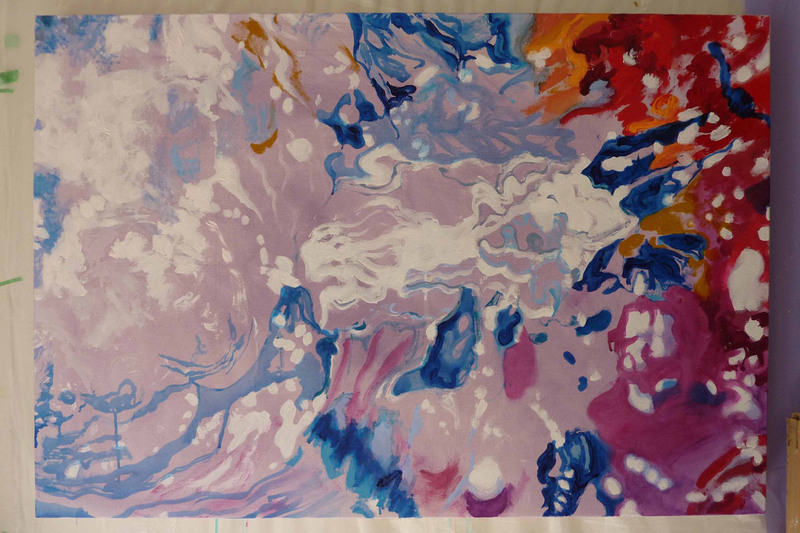 @ 10 Carden (10 Carden Street, Guelph): Artist Carol Tinga will be working on a new painting and will happily share the stories behind her latest works featured in the current exhibition, Feel more, think less which continues to May 29th. Stop by any time between 7-10pm! 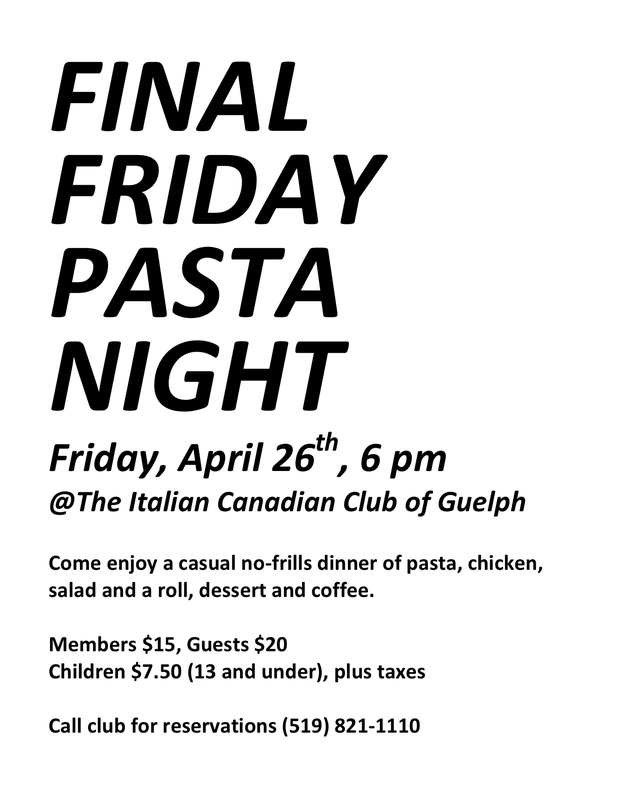 @The Italian Canadian Club of Guelph: Come enjoy a casual no-frills dinner of pasta, chicken, salad and a roll, dessert and coffee at 6pm. Members $15, Guests $20, Children $7.50; plus taxes. Call for reservations. This entry was posted in Art, Fourth Fridays, Music, Performance and tagged 10 Carden events, downtown Guelph events, Guelph Civic Museum events, Red Brick Cafe events by katrina. Bookmark the permalink.